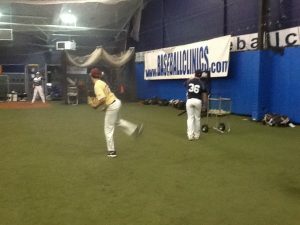 With the winter season approaching, many baseball players take this time to ready themselves for the upcoming season. While strength and conditioning training and a throwing program are essential to improve skills, a period of rest is imperative. This down time gives the athlete’s body the recovery time it desires and can even help with achy and sore muscles. A period of rest can vary depending upon the athlete’s level of competition or how prone to injury they may be. For example, an athlete coming off of a shoulder injury or surgery may want a longer period of rest in the off-season. However, an athlete that made it through the previous season healthy may want to shorten their rest. Again, these time frames are dependent on skill levels and individual health. 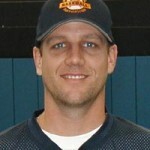 As the holidays rapidly approach, this is an optimal time for athletes to take their break from training and throwing. High school athletes may want to take month or so off since their season typically does not start until late February or early March. Conversely, collegiate athletes may want to take a few weeks off since their season starts not long after the New Year arrives. Once you resume your throwing program, start with a simple flat-ground throwing program. Be sure not to confuse flat-ground throwing with flat-ground pitching! 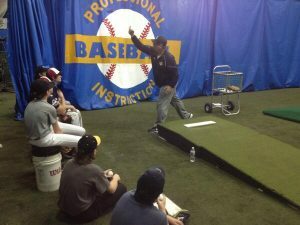 Having access to a well-versed pitching coach can greatly help achieve optimal throwing after a period of rest. When it comes to strength and conditioning, make sure your core, legs, and shoulder are strong enough to take you through the spring season and into the summer and fall. 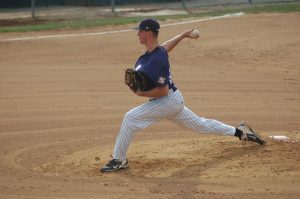 Many athletes are specializing in a single sport at an alarmingly young age and maintenance programs are often neglected, leading to younger athletes needing career-altering surgeries such as Tommy John. Upon resuming a conditioning program, be sure to include the Thrower’s 10 exercises on a regular basis! Off-season training is great for athletes of all ages and skill levels. Having access to well-versed coaches, such as pitching and strength-and-conditioning coaches, can help an athlete achieve longevity in their career. Additionally, periods of rest built into a training regimen can do the body some good and allow aches and soreness time to resolve. While some of your teammates may be training every day without a break, remember that a few weeks off now can save your career down the road! 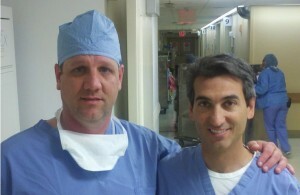 Frank Alexander, a member of Team Ahmad, is a Physician Extender to Dr. Christopher Ahmad at Columbia University Medical Center. In June 2016, the National Federation of State High School Associations (NFHS) announced a revised pitching policy that will result in new rules for pitchers beginning with the 2017 season. Each NFHS member state association will be responsible for setting its own restrictions for high school pitchers which will set both a pitch count and a longer required rest period between mound appearances based upon pitches. Here in New Jersey, the New Jersey State Interscholastic Athletic Association (NJSIAA) is expected to approve a proposal that a special committee recently drafted, limiting varsity baseball pitchers to a maximum of 110 pitches in a single game. There are also new proposed per-game pitch rules stipulating mandatory rest periods. Additionally, a pitcher throwing fewer than 30 pitches in a game will not be permitted to throw more than 50 pitches in two consecutive days. Pitchers will not be permitted to pitch on three consecutive days. Previously, New Jersey high school pitchers had restrictions on how many innings they could pitch in a week, but there weren’t any specific pitch counts. The NJSIAA is expected to make a formal announcement by February 2017. Dr. Jeff Dugas is on the staff of Andrews Sports Medicine & Orthopaedic Center in Birmingham AL where he deals with all types of orthopedic sports injuries. 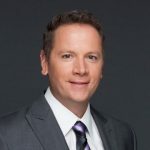 He has recently pioneered a new surgical technique that is a terrific alternative for young athletes who have injured their ulna collateral ligament. In this video, Dr. Christopher Ahmad from the Baseball Health Network shares this new technique that includes the use of a swivel lock and high-strength sutures. The result of this procedure is accelerated rehabilitation of the arm in which the athlete can begin a throwing program within ten weeks and be back to full competition in six months, or about half the time using current methods. PLEASE NOTE – the video contains graphic scenes of a surgical procedure. 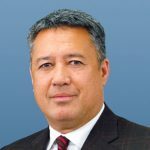 Team Ahmad’s Frank Alexander sat down with Baseball Health Network founder Steve Hayward for a timely conversation! Frank: Young pitchers want to add depth to their arsenal of pitches they throw. What is the first off-speed pitch you teach to your athletes? 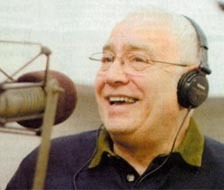 Steve: The first off-speed pitch I teach is a change-up. The change-up is much easier to learn and has a higher percentage for a young pitcher to throw for strikes. The arm and hand speed is consistent with a fastball, creating deception to disrupt a hitter’s timing and increasing the pitcher’s likelihood of getting a hitter out. ANY pitch thrown improperly will add unnecessary stress to the arm. Developing consistent, efficient mechanics is the key to keeping a pitcher healthy. FA: What is your advice to a player who wants to throw a curveball? SH: Curveballs have gotten a really bad rap when it comes to arm injuries. A lot of blame has been put on curveballs; but none of the research has proven it is more dangerous than any other pitch. There’s no set age when a player can start throwing a curve. A player can “develop” a curve as young as 10. My criteria to learn is when a player is can consistently control his direction to the plate and throw fastballs for strikes. “Developing” a curveball doesn’t mean throwing them live in competition – it means learning how to spin the ball in bullpens and practice. When they develop consistency, I allow them 5 curves per game. I want to emphasize that this is only for pitchers that are capable of throwing curves safely. FA: Every athlete varies on stamina and the days they pitch. 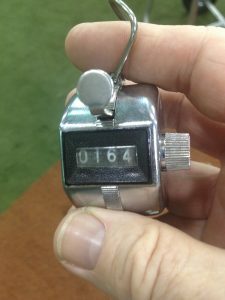 What is your recommended pitch-count for a high-school-age, multi-position athlete who may be called in to pitch in a game they are also scheduled to play the field? SH: The problem with generic pitch counts is they are based strictly on age. Not taking the individual’s off-season programs or previous workload into consideration when deciding on a pitch count is irresponsible. In my opinion, it is one of the biggest factors contributing to the arm injury epidemic. Until I have a clear answer on how a player feels on that day, I can’t set a number for that outing. Body language is more of an indicator as he’s throwing more-so than a pitch count. A player can throw 100 pitches with minimal stress where in another outing, throw 50 pitches and struggle with control of both pitches and his body. This can lead to doubling the workload on a given pitch. The point is – the number of pitches won’t always tell the whole story. FA: When a pitcher is coming back from surgery, what is your first order of business regarding mechanics since they haven’t thrown in a couple of months? SH: My initial attention is directed towards making sure they are throwing naturally. I make sure the arm action is clean and smooth. I also check to see if they are creating consistent rotation with a 4-seam fastball, especially for the guys that are returning from Tommy John Surgery. These players have a tough time getting proper extension at the elbow and end up cutting the ball which creates a cutter or slider rotation. 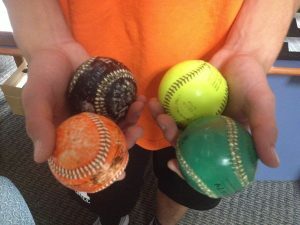 If the injury was caused by a mechanical issue, the slow pace of a rehabilitative throwing program allows them to improve where they were deficit at lower intensities. FA: Dr. Ahmad’s mound throwing programs suggest the use of a radar gun for athletes to estimate their effort. What do you say to those athletes who “want to let it loose”? SH: If a player focuses heavily on velocity in the rehab process, it creates a recipe for setbacks or re-injury. Either way, it will definitely affect a player’s return date. The daily goal is to complete the day’s throwing with no pain or discomfort. I prefer my guys to make a lot of throws at low to medium intensity. There is healing power in throwing but only when it’s done properly. Each player recovers differently and the decision as to when we start increasing and focusing on velocity is determined by the progress the player has made throughout the program. FA: What is the best advice you could give to a parent who wants to keep their player’s arm healthy? SH: First, start with the entire body. 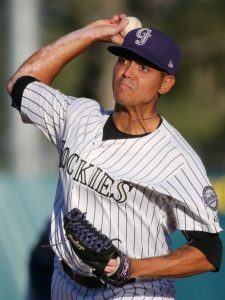 Way too many pitchers, at every level, have deficiencies and asymmetries throughout their body causing unnecessary stress on the throwing arm. Most arm injuries have little to do with the arm itself. If the body is functional and the delivery is efficient, the stress is distributed more evenly throughout the body instead of just the shoulder and elbow. 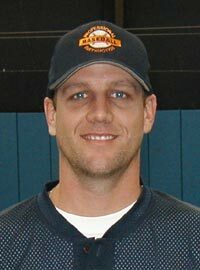 Once those issues are addressed, a progressive throwing program is next. The arm needs to be fully conditioned prior to the season, and throwing at various intensities helps this process. Pitchers need to have an in-season maintenance and recovery throwing program as well. The last step is having the ability to communicate to the coaches and athletic training staff exactly how and what they are feeling. If an athlete learns how to listen to their body and pay attention to warning signs, they can stay ahead of potential arm issues. By now you’ve probably heard about the high pitcher from Pennsylvania who just recently threw 164 pitches in a nine-inning, complete game. The Twitter-verse just about exploded. ESPN’s Keith Law was particularly irate. Today in pitcher abuse: the @TVRAIDERS sent 18-yo starter AJ Alexy out for 9 innings and 164 pitches last night. Scouts there were appalled. I don’t necessarily have a problem with the 7-inning, 128 pitches but – and this is a BIG but – only if he was conditioned to do so and it was an extremely rare occurrence. That means having the pitcher throwing progressively for a month and a half to 2 months prior to the season. That includes throwing several high intensity bullpens, up to 100 pitches in total. Those bullpen innings should have rest between each (approx. 5 minutes) and various pitch counts per inning to simulate a real game. I would also adjust his throwing routine over the next 10 days or so to give additional recovery time. As far as the 164 pitches, that’s definitely excessive and irresponsible in my opinion. This kid may not get hurt this year but you can bet he did some significant damage that he will eventually pay for down the road. It’s our job as coaches to protect our players! Winning ANY one game should never be more important. This stuff is common sense; unfortunately common sense is not common practice! 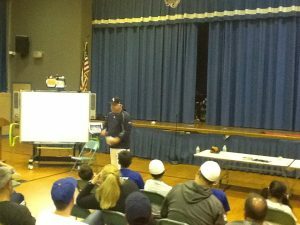 The staff of the Baseball Health Network was invited by the Englewood Cliffs (NJ) Little League to speak in front of coaches, parents and players at the Englewood Cliffs Upperschool on Monday, May 9. The evening included presentations by BHN founder Steve Hayward, Performance Director Eric D’Agati, and BHN founding partner Doug Cinnella. Eric‘s demonstration on Trunk Rotation and Shoulder Mobility, using a local high coach as his test subject is always enlightening. The amount of improvement in mobility in just a few minutes is certainly eye-opening. Steve and Doug concentrated on simplifying the pitching process. All too often young pitchers can get completely overwhelmed by the task at hand – throwing strikes. 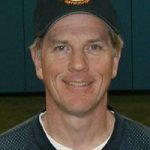 Steve detailed a couple of drills designed to get pitchers lined up straight to their target and Doug‘s “step-step-throw” demonstration showed how pitchers can work not only on getting their bodies going straight, but also finding their natural arm slot. Pictures from the evening can be found here on the BHN Facebook page. 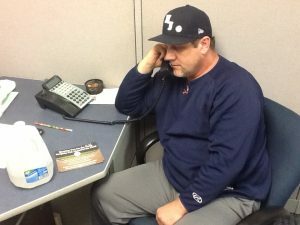 Want to have the staff of the Baseball Health Network speak to your baseball group or team? 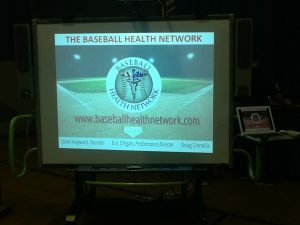 Contact us directly at 800-282-4638 extension 106 or info@baseballhealthnetwork.com.